I love to read. I think reading came quite easily to me because I don’t remember having a hard time when reading instruction began formally at Standard One (now Year One). We also did a lot of tulisan (writing), where we were taught to write upper- and lower-case letters the correct way. By the time I was eight, I was devouring Enid Blyton books. The Magic Faraway Tree and the Famous Five series still hold a special place in my heart. 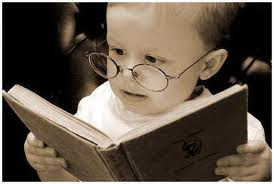 I was never read to as a child, but my parents were themselves avid readers. We had books around the house and we were never deprived of them. We also frequented the local library every two weeks. My husband’s experience with reading is a little different from mine. He lived in a small town and there were no library visits. In primary school, his reading literature consisted mostly of Doraemon and Master Q comics. While I need just four hours to finish a standard novel, he may take a few days. But, we are no different from each other in our ability to analyse, understand and appreciate literature. We both derive a great sense of pleasure from reading. I am now a mother of three children aged eight, six and four. How reading today has changed. Where before reading instruction started at Standard One, now children are being taught to read and write at three or four years old. Now, they are expected to be able to read, spell and write in sentences by the time they start Year One. Oh, the pressure! Not just on parents and teachers, but on the child.